Much like Dory, Ryan Hutchings, Director of Marketing, VacationRoost, taught us that even when we aren’t gaining the results we want, just keep testing. These results were achieved by employing simultaneous tests for large and small projects. 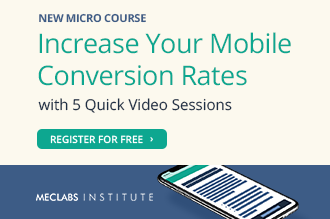 The tests Ryan utilized ran on two separate testing methodologies and allowed VacationRoost’s small marketing team to make the most of its resources. Because VacationRoost is an aggregation of several smaller companies, the company currently has many different websites and Web properties it has to maintain. “For a marketer, it’s ideal because I have this whole entire playground to essentially do whatever I want with,” Ryan said. However, not every test leads to overwhelmingly positive results. 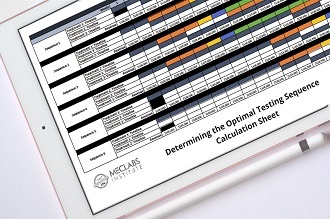 So what do you do when your costly testing is met with failure? No matter how many free resources are available, there is a cost to testing. Testing takes time, resources and manpower, so make sure the tests you are running are worth the effort. This warning is doubled when it comes to retesting. 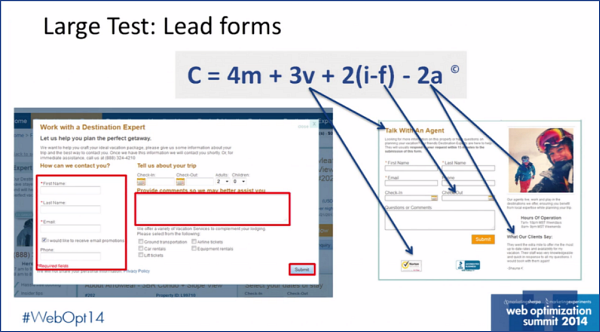 For one of Ryan’s presented examples, the VacationRoost team wanted to optimize a lead generation form on the site. After trying all of the best practices for form creation and optimization, Ryan and his team still weren’t seeing a lift. It actually took four failed tests before the team saw any sort of gain. However, because of the importance of the form, the costs of testing and retesting were worth it. “We knew that this would have a big impact if we could get a big gain on it,” Ryan said. While there is some truth in the unofficial marketing Bible of best practices, it’s important to remember these are more suggestions than guidelines. 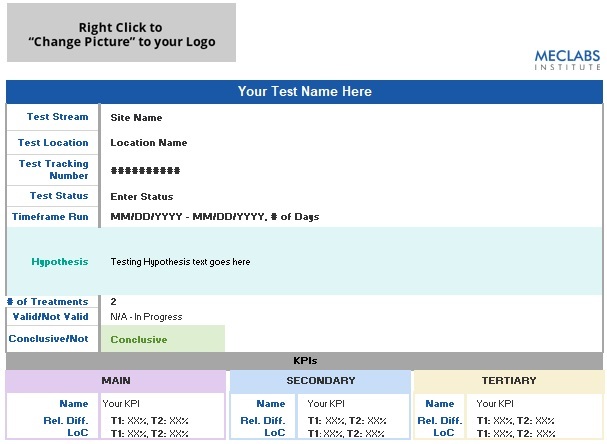 Even a layout change based off of a MECLABS, MarketingExperiments’ parent company, webinar failed to result in a lift. According to Ryan, he had almost given up on optimizing this form. The team ran the fifth and final test, this time heavily utilizing the Conversion Sequence rather than relying on best practices or examples from other companies. This treatment yielded a 19% lift. 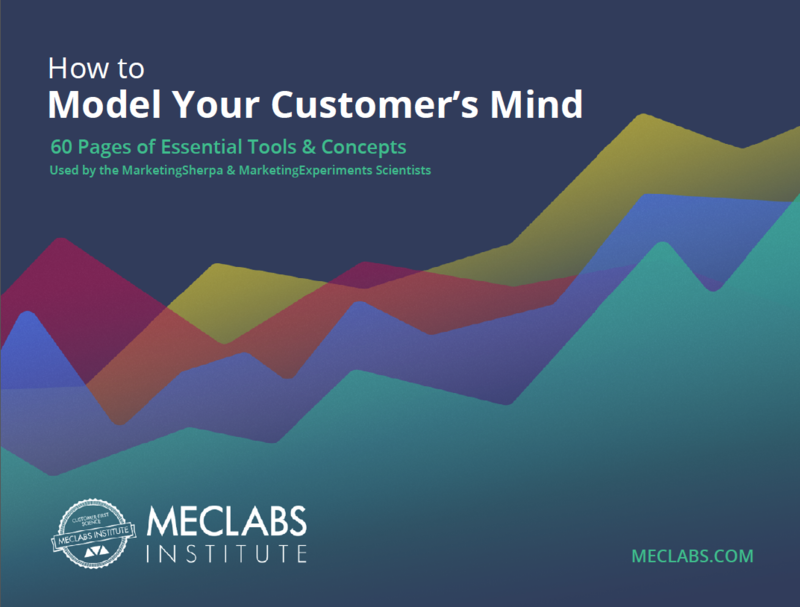 Every company has a different consumer base and a different set of best practices. Because of this, “best practices” are not always best. Always test what is best for your customer, rather than assuming best practices will be successful. Single factor A/B split tests can lead to some wonderful insights. The biggest appeal of these tests is that you know exactly what factor led to the test’s result — whether that result is positive or negative. While these focused tests can be incredibly informative, they aren’t right for every company or testing campaign. Watch the full length video from Ryan’s presentation at MarketingSherpa MarketingExperiments Web Optimization 2014 to learn more about how to recover from and alleviate testing failure. You can follow Kayla Cobb, Copy Editor, MECLABS, on Twitter @itskaylacobb.